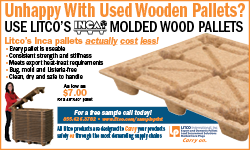 IFCO, the leading global provider of reusable packaging solutions, reports that the company’s new, innovative Wood Grain Reusable Plastic Containers (RPCs) have entered the produce supply chain. The first of an anticipated 30 million Wood Grain Reusable Plastic Containers (RPCs) have been shipped to fresh produce growers as partial fulfillment of an agreement reached between IFCO and Walmart. Kings River Packaging of Sanger, California, was the first Walmart supplier to receive IFCO Wood Grain RPCs. Last October, IFCO and Walmart announced IFCO will supply the world’s largest retailer with newly designed Wood Grain RPCs for its wet and dry produce, initially including apples, potatoes, onions and citrus items. 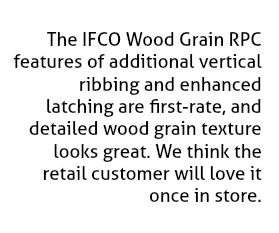 IFCO has invested millions of dollars in the development of its Wood Grain RPCs. 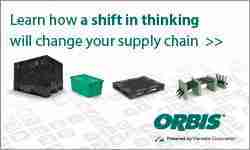 They have undergone extensive, months-long real world and laboratory testing to verify their functionality and product protection capabilities. They were designed to Walmart specifications, and incorporated feedback received from the grower community. IFCO’s Wood Grain RPCs are the result of decades of manufacturing expertise and superior industrial design, brought to market in record time. 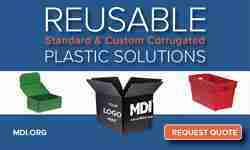 IFCO’s RPCs are more efficient, protect and cool product better and are more environmentally sustainable than one-way packaging. IFCO has a strong commitment to supporting local economies, local companies, and local workers in the marketplaces where it does business whenever possible. In the United States, IFCO’s Wood Grain RPCs are 100% sourced and manufactured in America and meet the Federal Trade Commission’s standard for its “Made in the USA” country of origin label. Also, IFCO Wood Grain RPCs are cleaned and sanitized at one of six US service centers throughout their life cycle.